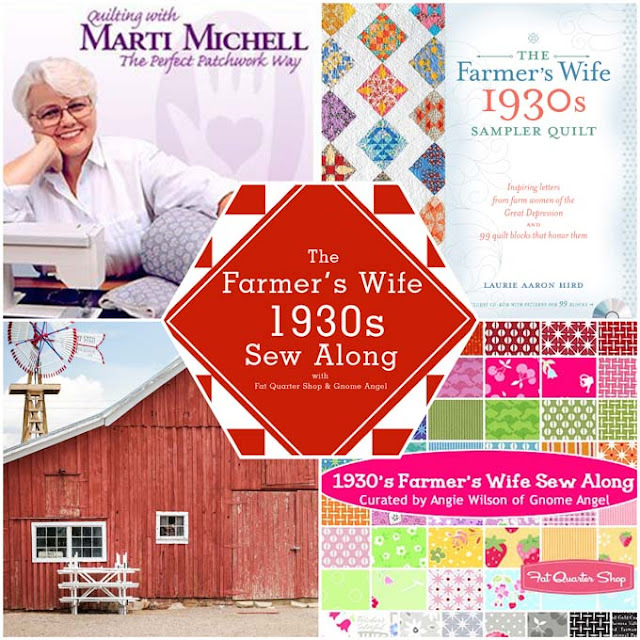 Have you made a Farmer's Wife Quilt? Summer took over the household and made it next to impossible to sew. I foolishly thought there would more time to work on projects and blog but the kids take priority in my days ( mostly because if I do not take care of them they will sit on me). When looking online for what is the newest, latest and greatest, I stumbled upon this treasure! Angie from Gnome Angel, Marti Michell and Fat Quarter Shop are having a Quilt Along starting in Sept for The Farmer's Wife Sampler Quilt! September works perfectly for my schedule since the kids will be BACK in school! 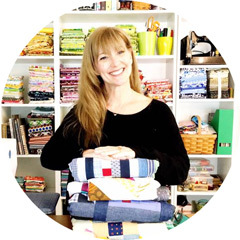 Committing to two blocks a week sounds like the perfect amount for even the busy girl's sewing schedule! Visit The Farmer's Wife Sew Along on Gnome Angel to find out ALL the information ( including the very active Facebook page)! Thank you for passing this info on! I just received this book for Christmas last year and was planning on starting one in the next few weeks! Looking forward to seeing what you make! Hope you're having a great day!